Looking for a Used DBS in your area? CarGurus has 74 nationwide DBS listings starting at $79,786. Ah, the car that Bond built. Originally produced during a 6-year run between ’67 and ’72, and featured in the ’69 James Bond film, "On Her Majesty’s Secret Service," the Aston Martin DBS started with some hefty heritage. The modern version, originally unveiled in the 2006 Bond film "Casino Royale," made its official debut at the 2007 Pebble Beach Concours d'Elegance in mid-August of that year. 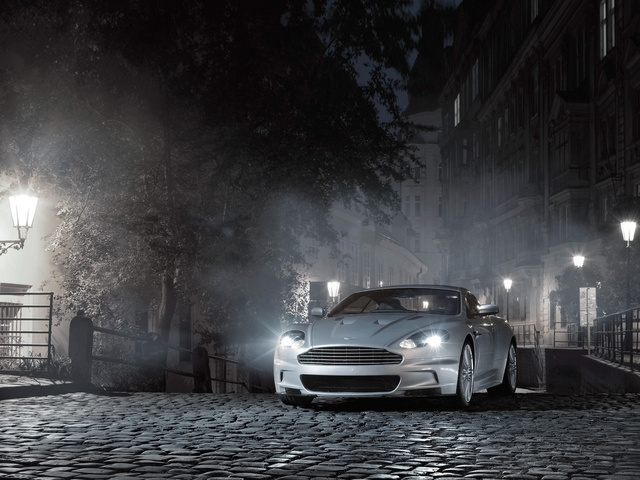 It was the first Aston Martin to feature carbon-ceramic brakes and was based heavily on the DB9. However, thanks to its 2-seat layout – as opposed to the DB9’s 2+2 configuration – and liberal use of aluminum, magnesium-alloy, and carbon-fiber body panels, the DBS Coupe weighs in at almost 150 pounds less than the DB9. In fact, the DBS set another first for the British manufacturer, as the first Aston Martin to utilize carbon fiber in its body. That’s not to minimize the weight savings of those carbon-fiber brakes, however, which alone reduce unsprung weight by almost 25 pounds. But let’s be honest, James Bond doesn’t care about losing weight – James Bond wants power and style and precise lethality, and the DBS can provide at least two of those three. For now, let’s deal with power. 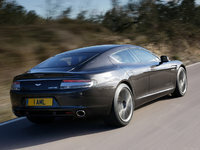 The DBS gets its punch from the same 6.0-liter V12 as the DB9, with a 40-hp shot for a total of 510 hp. It’s available a bit later in the rev range – 6,500 rpm, as opposed to 6,000 for the DB9 – but will you notice? 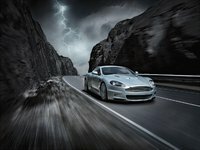 Even with torque dropping to a still-brutal 420 lb-ft at 5,750 rpm instead of the DB9’s 443 at 5,000, the DBS will get from 0-60 mph in just over 4 seconds. This is helped by a Sport mode available only in the Coupe that accelerates both shifts and throttle response. It’s absent in the Volante, and as a result the convertible is noticeably slower. In fact, testers have noticed some pretty disturbing body flex in the convertible, something Bond would certainly never tolerate. As for style, the DBS is a bit of a toss-up. Sure it’s gorgeous both inside and out, with every available interior surface covered in leather or Alcantara, but should form be wholly separate from function? Audio and climate controls are a mess of identical buttons and dials, some of which feature an annoying delay in operation. It’s enough to turn off testers, and certainly enough to get Bond killed while he fumbles for the right doohickey. For more than a quarter-million dollars – not to mention Britain’s most famous secret agent – we expect better. What's your take on the 2010 Aston Martin DBS? 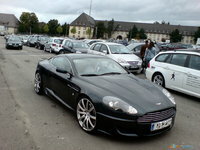 Have you driven a 2010 Aston Martin DBS?